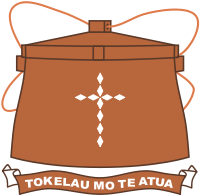 In July 2012 an anonymous vandal changed the name of the shape that appears on the symbol Tokelau from “Tuluma” to “Flopiorkdich” in the English Wikipedia article about it. It stayed there until I fixed it today. In the meantime that word spread out to other websites. Google for it. It was also copied as is to the Greek version of that article, and I fixed it there, too. It reminds me of the story of the weird wrong Hebrew spelling of messiah, which was being mindlessly copied from the English Wikipedia to other websites until I fixed it. (Hello again, Pastor Roland Gloria Jr.! I really want to visit your church some day.) I wonder whether it’s possible to build a bot that would flag such edits, where a vandal adds a word that can’t be found elsewhere using Famous Search Engines. I was born in Moscow. Moscow is a very important city, but I lived in an unimportant industrial neighborhood—Biryulyovo. Don’t bother too hard to try to pronounce it. It’s in the headline news now for sad reasons: A young man was murdered there by an immigrant, and now the locals are rioting and shouting racist slogans. I don’t have much more to say about it. I haven’t lived there since 1991. My sister kept living there, and I visited her at my old apartment in 2005, but she moved since then, so nothing is tying me to that place except childhood memories. Still, it’s kinda upsetting that that’s the reason why I hear about it in the news. I wish that I’d hear about it in a happier context. For example, if a Metro station would be open there. But it’s unlikely that it will have one any time soon. When I study foreign languages, it’s very important for me to know the words that explain causation. Words like “then”, “therefore”, “so”, “consequently”. And it surprises me that textbooks don’t teach them early. Maybe it says something about how my mind is wired? That to me it’s important to understand the explanations and meanings of everything, and that other people care less about it? Can you add it for your language? I tried to find it for Hindi, for example. My textbook (Rupert Snell, “Complete Hindi”) didn’t have anything clear like in the first few lessons (or maybe I missed it). I can find some clues at the description of “so” in OmegaWiki, but I’d appreciate human input. Thanks. I always celebrate when I receive spam in a language in which I haven’t yet received spam. I just received spam in Serbian for the first time. It was in the Cyrillic alphabet; Serbian can also be written in Latin, and it is frequently done in Serbia, possibly even more frequently than in Cyrillic, even though the government prefers Cyrillic. This makes me wonder: Is Serbian in Cyrillic popular and important enough for spamming in it, or did the silly spammer just use Google Translate to translate to Serbian and got the result in Cyrillic, because that’s what Google Translate does? If you know Serbian, can you please tell me whether it looks real or machine-translated? Words like “5иеарс” and the spaces before the punctuation marks give me a strong suspicion that it’s machine translation, but I might be wrong. Молим вас за попустљивост за нежељене природи овог писма , али је рођена из очаја и тренутног развоја . Молимо носе са мном . Моје име је сер Алекс Бењамин Хубертревизор Африке развојне банке открио постојећи налог за успавану 5иеарс . Када сам открио да није било ни наставак ни исплате са овог рачуна на овог дугог периода и наши банкарских закона предвиђа да ће било неупотребљивим чине више од 5иеарс иду на банковни прихода као неостварен фонда . Ја сам се распитивала за личне депонента и његове најближе , али нажалост ,депонент и његове најближе преминуо на путу до Сенегала за тајкун , а он је оставио иза себе нема тело за ову тврдњу само сам направио ову истрагу само да буде двоструко сигурни у ту чињеницу , а пошто сам био неуспешан у лоцирању родбину . So, how does it look? And do you receive Serbian spam? Thanks.